Bringing Alexanders to our shores is one of those things the Romans did for us, employing its unlikely enthusiasm for winter to provide food for the legions and fodder for their horses. 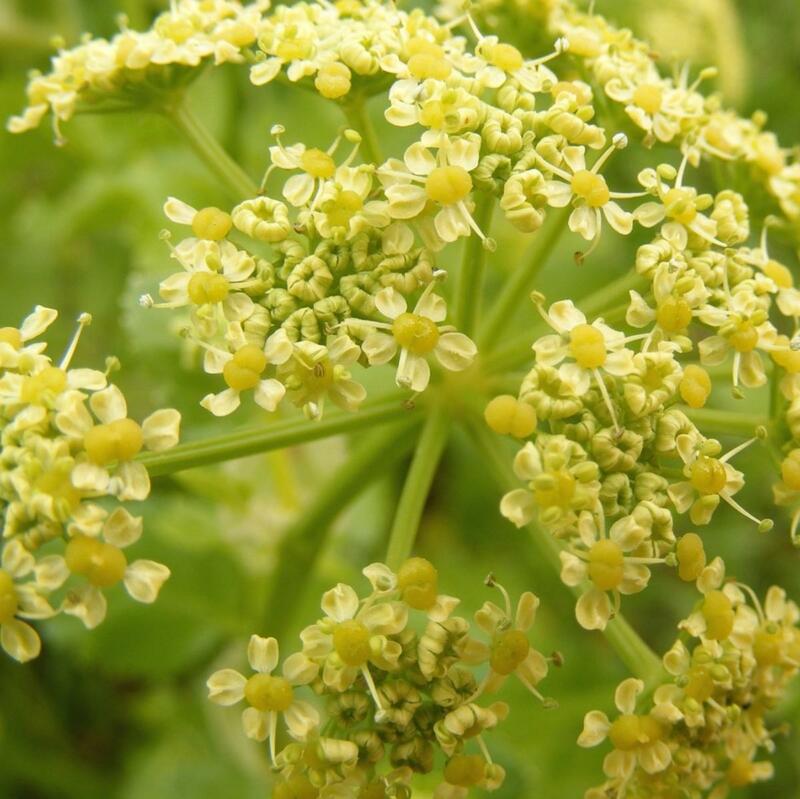 Alexanders is native to the Mediterranean but is able to thrive much farther north. The flowers are yellow-green in colour and arranged in umbels and appear from April to June. Alexanders was once used in many dishes, either blanched, or raw. Its stems can be candied like angelica and the stems cooked as celery. The seeds can be ground to make a peppery spice, and the roots enjoyed like parsnips. It is now almost forgotten as a food source, although it still grows wild in many parts of Europe, including Britain. Quite apart from its culinary prowess, it is a delightful garden ornamental.